The good news is that tiling is pretty straight forward and should be well within the capabilities of the average home handyman. Whether you have done a complete DIY loft conversion or are finishing the decorating after the builders have left you will have nice new plaster to work with. Which, of course, makes everything so much easier. Creative use of wall tiles will make that new en-suite bathroom look terrific but of course you may also be using floor tiles as well to give the bathroom or any other rooms floor a stylish look. Before you begin work of course you need to choose the tiles you will be using and given the massive number of different types of ceramic tiles that isn't as easy as it sounds. It is important of course to ensure that the ceramic tiles complement the design and colour scheme of the room. For example using large wall tiles in a small bathroom will make the room seem even smaller but light coloured smaller tiles will create a sense of space. A reasonably competent DIYer should be able to apply and grout a square metre of tiling in 60 to 90 minutes - possibly quicker given that the plasterwork will be smooth and ready to be worked with. It is important to make sure that the plasterwork has completely dried out before tiling a loft conversion as applying the tiles too soon will lead to problems later on. So, it is very important not to rush in and try to finish the job too soon. Allow the plaster to completely try out. 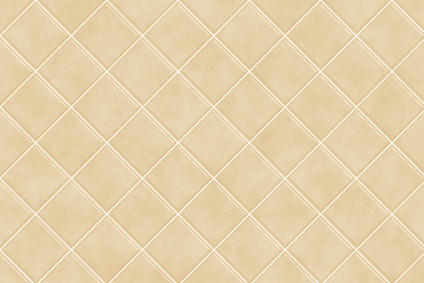 The main thing with wall tiles is to plan the layout so that the amount of cutting is kept to an absolute minimum. Always begin from the centre of the wall using whole tiles and the correct sized spacers. Of course even in the squarest of rooms there will inevitably be times when you need to cut tiles to make them fit. Don't take any short cuts here. Invest in a tile cutting jig or you may well find yourself wasting countless tiles (and money) by trying to use a tile scorer. A cutting jig is well worth the money for the time it saves you and will quickly pay for itself. When fixing the tiles to the wall it is so much easier to use a ready mixed adhesive and grout. There is no need to use a separate grouting material as many adhesives on the market now are duel purpose and can be used for grouting. The adhesive can be applied using a plastic spreader which is usually supplied with the adhesive or, if you are tiling a large area, than a specialist trowel would be a useful tool to have. . When tiling a loft conversion the use of floor tiles can make a room look incredibly contemporary and they are especially effective in a loft living room. Ceramic or quarry tiles can be laid on the timber flooring though the it is essential that the surface is as rigid as possible. Other types of floor tile that can be used are of course cork and other soft tiles such as vinyl. Whichever kind of tile is used it is essential that the correct adhesive is used for that particular tile although actually fixing the tiles is quite straight forward. For more information see our page on laying floor tiles. The tiling is of course only one facet of decorating a loft conversion but it is one that can be tackled successfully by most of us.